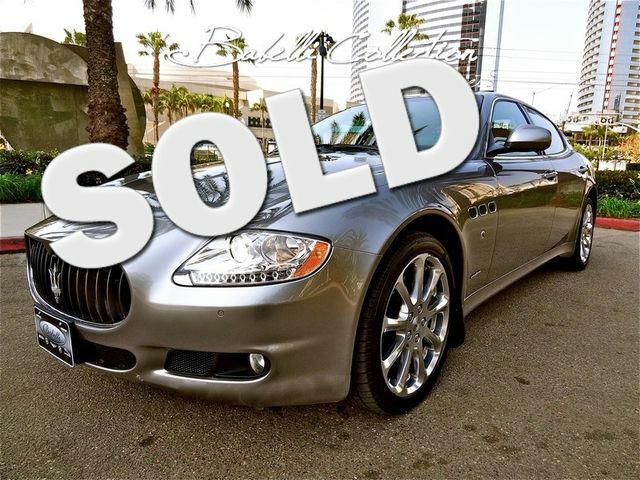 2009 Maserati Quattroporte LOW LOW MILES ONLY ONE OWNER CA CAR @ AMAZING COLOR Call 619-338-0861 for more info. This ONE Owner vehicle is CARFAX Certified!! We offer facilitation of a pre-inspection report before you purchase the vehicle. Please click on the free Carfax report. Personal and Business Leases are available. Extended warranties can be purchased at the time of sale. We offer free airport pick-up, and can also help you facilitate low-cost shipping of your vehicle worldwide. Ferrari, Lamborghini, Bentley, Rolls-Royce, Maserati, Porsche, Land Rover, Audi, Jaguar, Aston Martin, Lotus, Hummer.